With an innate adoration for nature, artist Koh Mun Hong captures the vibrant colours and dynamic of the natural world on paper. 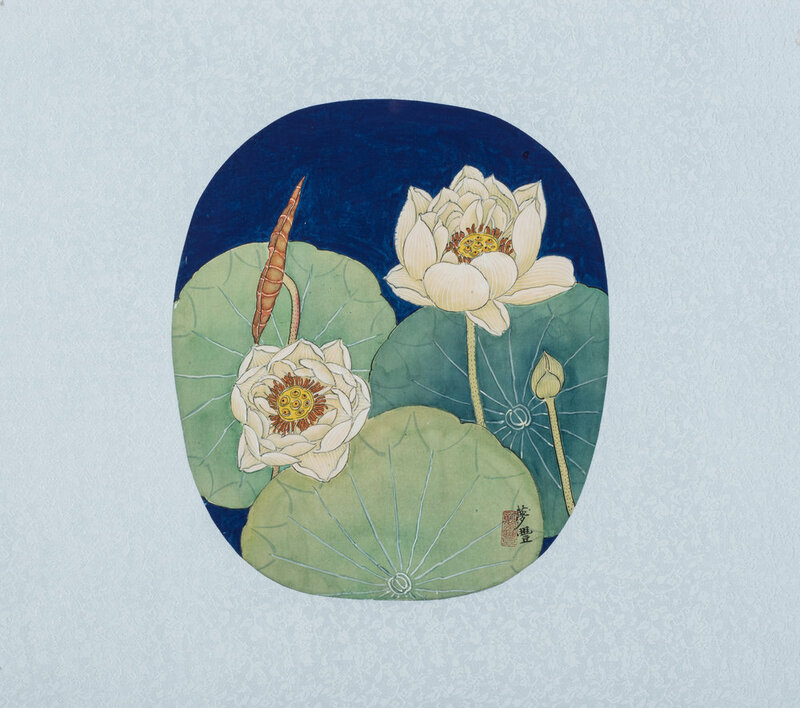 Born in 1952 in Singapore, Koh is a self taught artist regarded for his Chinese ink paintings of lotuses, bamboos and birds. His contribution to the local arts scene has long been appreciated, it has awarded him with the 2016 Cultural Medallion Award which he received on October 4th – It is the highest-ranking national arts award in Singapore. His many other accomplishments include receiving the Tan Tze Chor Art Award by the Singapore Art Society in 1987, and his works have been proudly presented at the National Museum Art Gallery, Singapore’s first major visual arts institution. Koh Mun Hong’s paintings are a romantic reflection of the environment; it conveys the silent intimacy of the world surrounding us through graceful brushstrokes. 2016 Cultural Medallion Award recipient Mr. Koh Mun Hong 许梦丰, was born in Singapore in 1952. 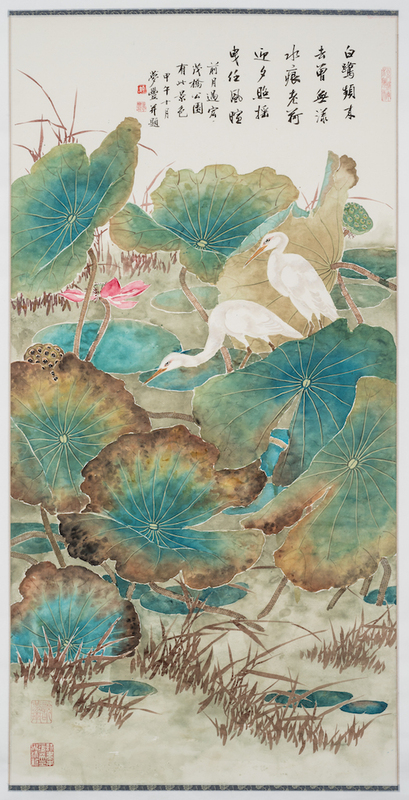 Koh is a self-taught poet and artist versed in the art of Chinese calligraphy and ink paintings. 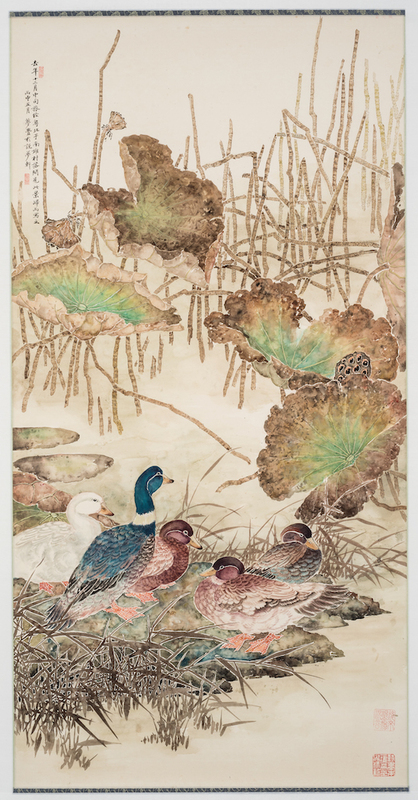 Specializing in Gongbi (工笔) style painting (Chinese ink) of nature such as lotuses, bamboos and birds, he paints with an innate adoration for nature and captures the vibrant colours and dynamic of the natural world on paper. 1972 - First prize receiver in the Chinese Calligraphy Competition, by The Youth Association. 2007 - Distinguished Art Award, by the Singapore Siaw-Tao Chinese Seal-carving, Calligraphy and Painting Society. 2007 - ‘ 特选卓越书画家：艺术之光Most excellent calligraphy artist of the year’ award by Ngee Ann Cultural Centre. 2008 - Honoured as one of the best local Artists of the year By SPH Lianhe Zaobao. 2008 - Published a book entitled Meng Xuan Yi Hui, featuring a collection of his paintings, calligraphies and poems at his 2nd solo exhibition.